For fans of Italian cuisine, the news of a well-preserved ancient Roman shipwreck — whose cargo of food might still be intact — will surely whet their appetites. The ship is believed to be about 2,000 years old and is buried in the mud off the coast of Varazze, Italy, according to The Age. The mud kept the wreck hidden for centuries, but also helped to preserve it and its cargo, held in clay jars known as amphorae. Local fishermen suspected there might be a wreck in the area, because pieces of pottery kept turning up in their nets. 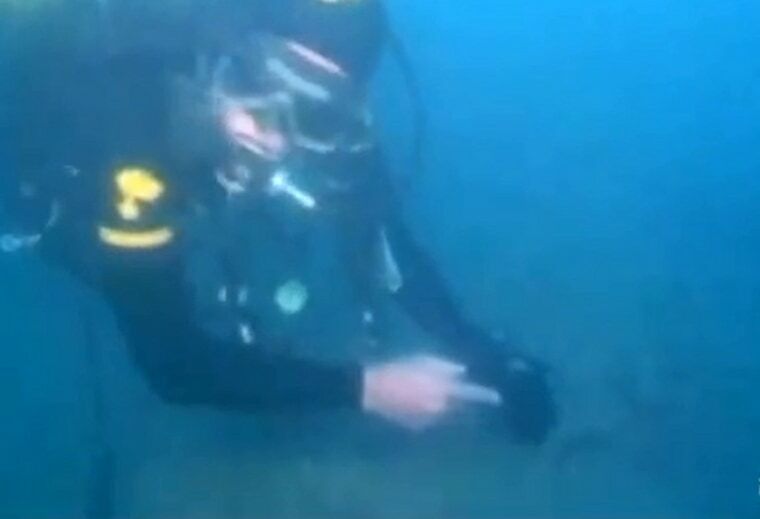 Police divers used a remotely operated vehicle (ROV) to locate the shipwreck about 160 feet (50 meters) underwater. "This is an exceptional find," Schilardi said. "Now, our goal is to preserve the ship and keep thieves out. We are executing surveys and excavations to study the contents of the boat, which is perfectly intact." Using sophisticated technologies like ROVs, sonar mapping equipment and genetic analysis, marine archaeologists have had considerable success in recent years in recovering well-preserved artifacts from shipwrecks. Earlier this year, scientists were able to identify the contents of a small tin box, recovered from an ancient Roman shipwreck off the coast of Tuscany, as eye medicine containing zinc, beeswax, pine resin and other compounds. And a 2,400-year-old shipwreck found in 2006 off the Greek island of Chios carried a cargo that was revealed through genetic analysis to be ancient salad dressing, i.e., olive oil flavored with oregano. These discoveries, like the recently identified shipwreck off the coast of Varazze, can help archaeologists learn about ancient trading routes and the lives of everyday people throughout the Mediterranean region. The clay amphorae now being recovered from the Varazze shipwreck still have intact caps of pine and pitch (a kind of tar), giving archaeologists hope that the contents are still preserved. Amphorae recovered from shipwrecks are often just empty clay vessels. The area off Varazze was part of an ancient trading route along the Italian peninsula, France and Spain. The site of the shipwreck has now been sealed off to prevent the looting of ancient artifacts.